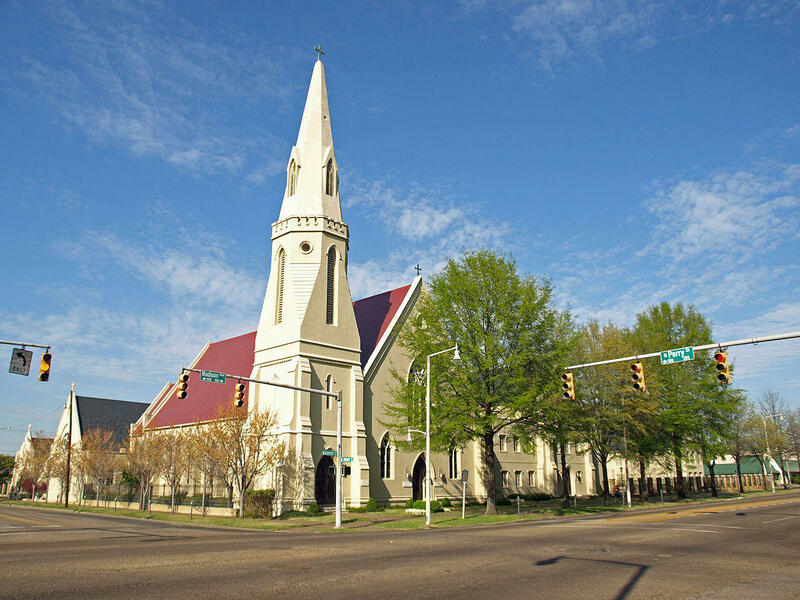 St. John's Episcopal Church, Montgomery, Ala.
An Alabama church has removed a pew honoring Confederate President Jefferson Davis, saying the memorial has no place in the church at a time when Confederate symbols have been adopted by white supremacists. The pastor of St. John's Episcopal Church in Montgomery, Robert C. Wisnewski Jr., posted a message on the church website last week saying the wooden pew was dedicated more than 90 years ago at a service featuring a pro-lynching segregationist. Church lore maintained that a pew marked with a bronze plaque honoring Davis dated to the start of the Civil War. However, the pew wasn't actually installed until decades after the war, when whites were trying to maintain control in the South, Wisnewski wrote. Tennessee writer John Trotwood Moore, who supported segregation and opposed an anti-lynching law, spoke at the dedication service in 1925. A star marks the spot on the steps of Alabama's Capitol were Davis took the oath as Confederate president. Across the street from the Capitol stands the "First White House of the Confederacy," where Davis lived for about three months in Montgomery.